The first John Green book I read was probably a less celebrated one: An Abundance of Katherines. That was last year, when I was looking for something light to read, and I like the premise about a geniusprodigy. (I’m quite fond of extremely intelligent characters, like Artemis Fowl and Lisbeth Salander.) 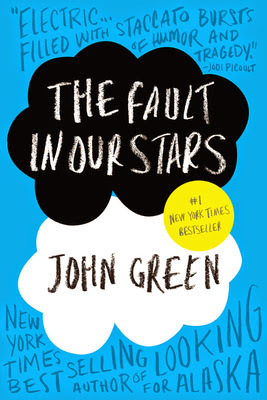 It was ok, a bit fun, a bit annoying, but it does not fully demonstrate what John Green can do. Then last month, I felt the need to be ignorant for a while, so I chose to bury myself into some books and avoid Twitter. That’s when I got to read two other books of Green – Looking for Alaska and The Fault in Our Stars. I chose Looking for Alaska first, partly because I felt I wanted to try his prior book before reading the latest hit, and partly because I didn’t want to just read it simply for the movie. It might be a good idea, because while Looking for Alaska was good, I could clearly see why The Fault in Our Stars became a sensation – because it was sensational, in both senses of the word. The Fault in Our Stars is a young adult read. It is probably tougher than most young adult novels in the market, but it still has the easy young adult flow and the lighthearted teenage life plot, despite the cancer and death. (It is actually why I seek to read it, because at the moment I don’t want to read anything too tiring [especially in my non-native language] so these Green’s books serve the right mix.) The plot is predictable at times (like that Van Houten visit would be a big flop), but still acceptable for me. It’s probably weird to say that I can connect with the main character. I’m past my teenage years, from a very different culture, with no serious illness and not looming for death. But this particular paragraph pretty much sums up my emotional connection to Hazel. No, I have never been in her shoes, but it is one of my worst fears (well, after things like reigns of terror, terrorist attacks, deadly pandemics, etc.). The Fault in Our Stars‘ Hazel captures the feeling of emotional reliance on one person. When you think you find the one who really gets you, you can imagine that it would feel like what Hazel feels. It doesn’t matter that there are people who love you and whom you also love. Hazel loves her family, obviously (and despite her sometimes teenage selfish behaviours), and she gets that they love her, but I can really get how that doesn’t translate into wanting to share your inner feelings with them. One of the main criticisms for this book I’ve seen is “teenagers don’t talk like that”. I’m not sure what I would be like if I speak English as my primary language, but it’s not exactly inconceivable for me that they talk like that. I mean, hell, I was also a bit pretentious when I was sixteen (and probably still am). My dinner conversation with friends at sixteen include things like “my diminishing marginal utility”. No average sixteen-year-olds talk like that, doesn’t mean no one does. That said, there are some negative comments that I agree with. The book targets sadness, which is quite an accessible emotion. It has very straight forward life lessons, nothing too complex. And as much as the book tries to portray Hazel and Augustus as non-puppy love, it is not always so convincing. So I can understand if someone who dislikes straight tearjerker would not enjoy it. After all, the reason I like The Fault in Our Stars is because I particularly enjoy this type of characters and that, apart from the dying part, I can feel the emotional stage they are in. “I take quite a lot of pride in not knowing what’s cool,” I answered. Previous Post Ford: Texting while driving is OK because our car will brake for you!